FGM is not an issue that can be decided on by personal preference – it is an illegal, extremely harmful practice and a form of child abuse and violence against women and girls. As FGM is a form of child abuse, professionals have a statutory obligation under national safeguarding protocols (e.g. Working Together to Safeguard Children 2013) to protect girls and women at risk of FGM. It must always be remembered that fears of being branded ‘racist’ or ‘discriminatory’ must never weaken the protection that professionals are obliged to provide to protect vulnerable girls and women. If any child (under-18) in our care has symptoms or signs of FGM, or if we have good reason to suspect they are at risk of FGM having considered their family history or other relevant factors, they will be referred using standard existing safeguarding procedures, as is the procedure with all other instances of child abuse. ​The purpose of Operation Encompass is to safeguard and support children and young people who have been involved in or witness to a domestic abuse incident. have been involved in or witness to a domestic abuse incident. Operation Encompass has been created to address this situation. 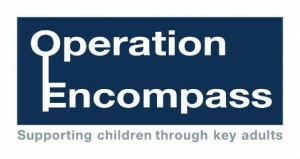 Operation Encompass is the implementation of key partnership working between Police, Local Authorities, Children’s Services, Health agencies and nominated ‘Key Adults’ in schools. The aim of sharing information with local schools is to allow ‘Key Adults’ the opportunity of engaging with the child and to provide access to support that allows them to remain in a safe but secure familiar environment. Starting in October 2015, Highfield became involved in the pilot scheme to introduce this practice initially into Farnworth schools, which will be known as Bolton Encompass. Following the report of an incident of domestic abuse, by 9.00am on the next school day the school’s Key Adult will be informed that the child or young person has been involved in a domestic incident. This knowledge, given to schools through Bolton Encompass, allows the provision of immediate early intervention through silent or overt support dependent upon the needs and wishes of the child. The purpose and procedures in Bolton Encompass have been shared with all parents and governors, is detailed as part of the school’s Safeguarding Policy and published on our school website. At Highfield, our Key Adult is Miss D Helme. Parents and guardians are made fully aware of the purpose of Bolton Encompass and its procedures through a letter that is sent home each September and when a new child enrolls in school and is a part of our Safeguarding Policy for Parents that is distributed and signed for at the Autumn Parents’ Evening. At Highfield Primary School, we strive to ensure that all our pupils remain safe and free from harm and we are committed to playing a full and active part in the multi-agency response to child protection concerns. As part of this commitment, we have our school policies and guidelines, which can be accessed by Clicking Here. We also ensure that we follow Government policies and guidelines, which can be accessed by Clicking Here! 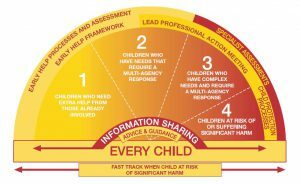 At Highfield, we deal with any Safeguarding concerns by following the Framework for Action, as devised by Bolton Children’s Safeguarding Board (BCSB). A copy of this can be found in within our Government Policies and Guidelines section. When concerns are raised the following model is used to grade level of need and the support/agency to be accessed. If a child makes a safeguarding disclosure regarding an adult at school or out of school the following procedure takes place. At Highfield, we aim to address Child Sexual Exploitation (CSE), Female Genital Mutilation (FGM) Forced Marriage and Prevent Duty through effective staff training, sharing leaflets with parents on our school website and by identifying and addressing these issues as and when they may arise by following school procedures and contacting the relevant authorities. The above link will open in a new window, please close the window to return back to our School Website. The above link will open in a new window, please close the window to return to Highfield Primary School Website. CEOP supporting children to stay safe. 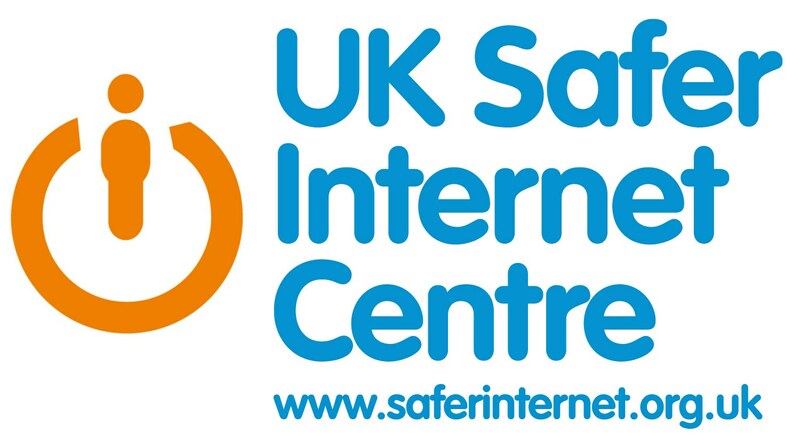 Please click the link below to read about online safety.